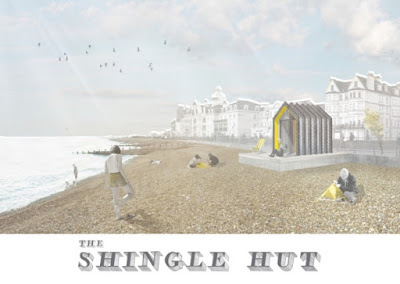 The shortlist for Eastbourne’s The Huts beach hut competition has been announced (more details at the official site here). 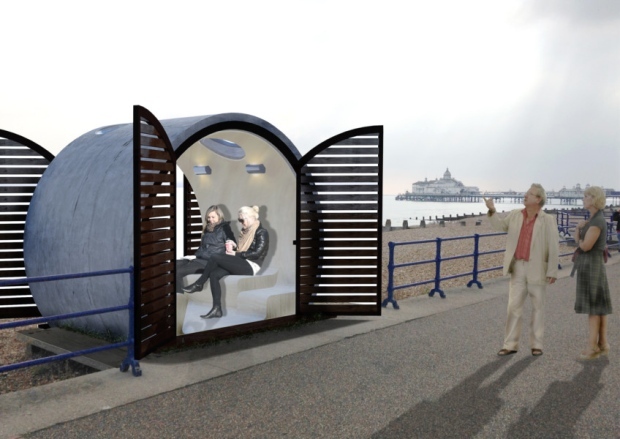 The aim is to "create new visitor attractions and enhance Eastbourne’s reputation as a town embracing culture and design". 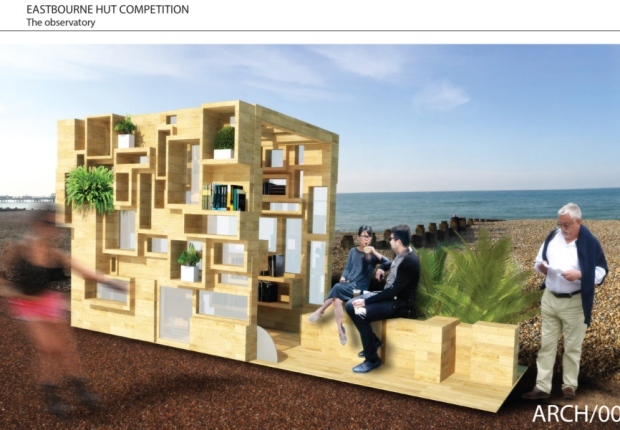 The finalists in the community category are local artist Lucy Dean , a group entry from students at Sussex Downs College under Sheila Hay and a group entry from Age Concern under Claire Shoosmith. The shortlist of entries will be exhibited to the public March 9-14 at Gowland Court, 137 - 139 Seaside Road, Eastbourne. 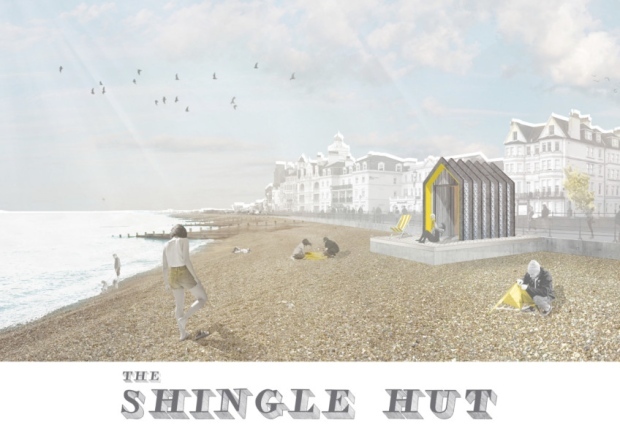 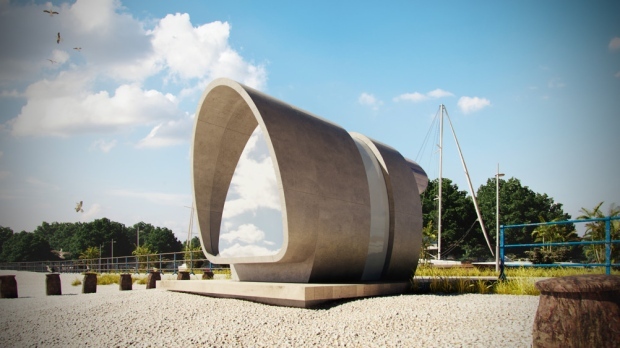 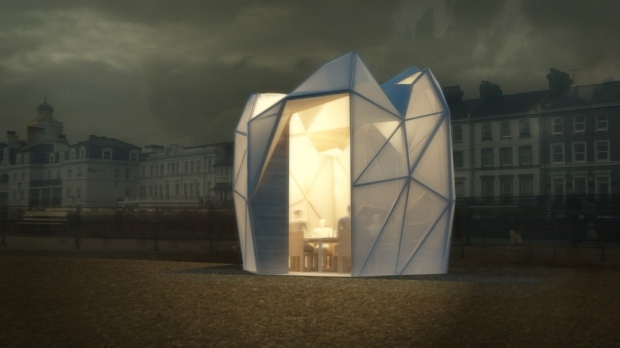 The outcome of the competition will be five bespoke designed iconic huts which will be sited at key locations in Devonshire ward, to the east of the pier, forming part of the route of the Coastal Culture Trail linking the Towner Art Gallery in Eastbourne, De La Warr Pavilion in Bexhill and Jerwood Gallery in Hastings.